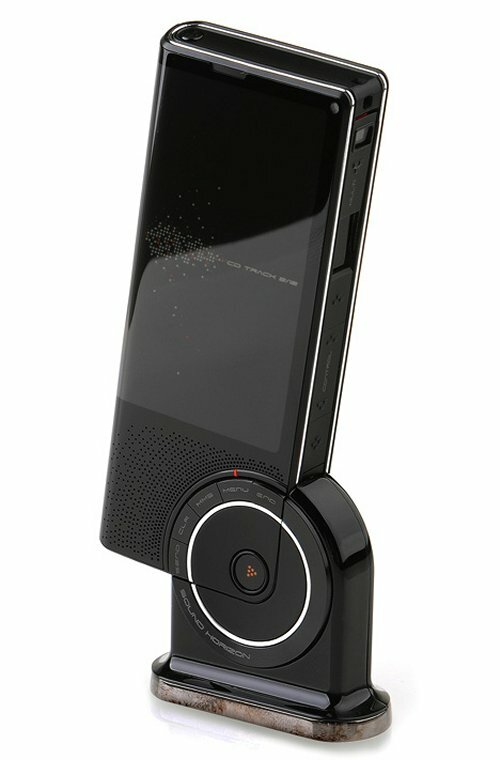 The latest work of designer Joong-Ho Choi is the beautiful concept phone below, dubbed the Easter Moai cellphone. The handset features a touchscreen LCD display and a pretty original placement of its function keys: on the corner edge of the device. The innovative key layout allows the implementation of a bigger display and, as you can see in the picture above, the phone comes with a dock, that incorporates speakers and turns the handset into a portable music player. Too bad that the device is a tad too thick for my taste, but its design is elegant enough to tempt potential customers.